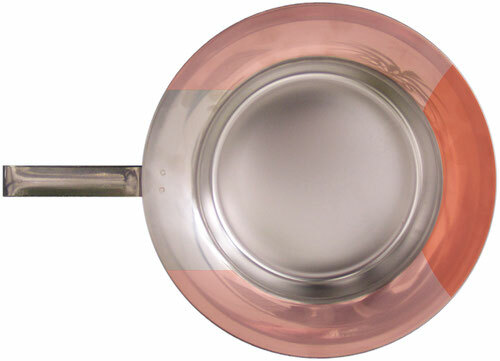 A stainless steel bedpan is cold, hard and unpleasant. The narrow support rim (red) hurts after a short time and can cause a decubitus, decubitus ulcer or ulcer. 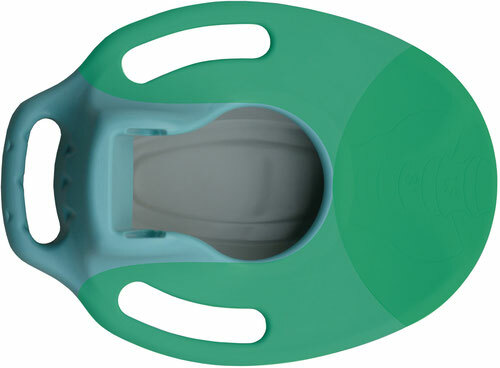 Cleanius offers ergonomically highest lying comfort due to the more than 3.5 times the main support surface (green) and a large secondary support surface (light green). Optimum weight distribution and low point load are the best decubitus prophylaxis. The spine relieving depression in the support surface provides security and pain relief even after surgery. Pressure ulcers are avoided. The correct position of the patient on Cleanius is given when the human sacrum is congruent with the sacrum shown on Cleanius. Cleanius is anatomically shaped, which increases the comfort of lying. In conventional bedpan buttocks dive very deep into the pot - the pot opening is unnecessarily large. The patient gets contaminated by his own excretions. There is a risk of secondary infection. With Cleanius, the opening for receiving the waste is only as large as necessary. An immersion of the buttocks is impossible. The patient lies not in his own excrements. A secondary infection is effectively prevented.